Nowadays, if the retailers don’t want to cede their position, they have to follow the frequently changing news and trends in the market. That’s to say they should be alert since the retail landscape is more competitive today. Being an important advertising channel, Google Shopping Ads, also called Product Listing Ads, have its positive impact on e-commerce industry. Appearing at the top of Google’s search engine results, this kind of ads help the retailers gain more conversion and increase sales. Therefore, it’s of utmost importance for retailers to run Google Shopping campaigns in a smart way. The main distinctive feature of Google Shopping Ads are. What are the benefits of shopping campaigns? The advantages of shopping campaigns are numerous, and we have singled out the most significant ones. So, let’s see what are the benefits of Shopping campaigns that make them so vital for e-commerce? In contrast to text ads, Shopping ads drive higher clickthrough rates (CTR) for shopping-related searches. In many cases, the advertisers have recorded double and even triple standard CTR. Adding your product information in your ads will increase your chances of getting better leads. When looking for a certain item, the customer will be able to compare the features, price and other essential points before opting for your ads. This means when the users click on your ads, they already have a vivid idea of the product and its cost. In this way, they become potential buyers ready to purchase from your store. There is no limitation of how many of your Shopping ads can appear during a single search. For example, Shopping ads and text ads can appear together. Hence, your reach is doubled for one search. You can follow your product performance at any stage of granularity. You can even see how many clicks a product from a specific brand got let’s say for high-heeled shoes. You may even get insights into a competitive landscape by using benchmarking. How do Shopping campaigns work? Now let’s see how Shopping campaigns work bringing you more traffic. It’s eye-catching that Shopping ads don’t include any keywords. They use the information you have entered in Merchant Center product data. The product data contains details about the product you sell, and this information helps search engines to decide whether the user’s search matches to your product details or not. This kind of ad is generated based on your provided information in Merchant Center. They are charged using cost-per-click (CPC). When someone clicks an ad leading to your website’s landing page, then you are charged. 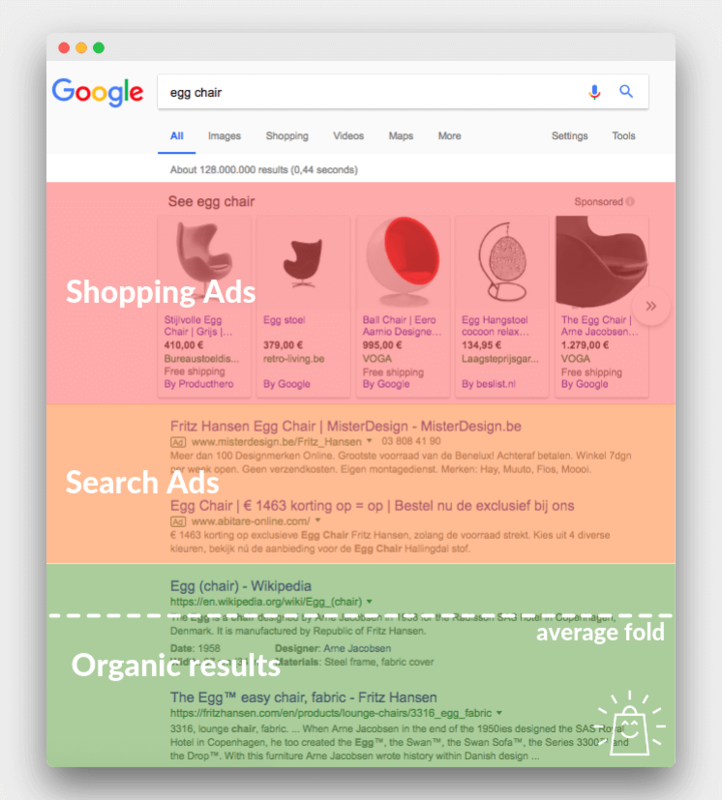 You can manage these ads in Google Ads grouping similar products together. This way of shopping will enable users to compare the related items and choose the right one. This kind of ads are charged as cost-per-engagement (CPE). This happens when the user opens the ad and keeps it like that at least for 10 seconds. This sort of advertising uses data feed from local inventory ads for engaging users on the Google Display Network. Hence, they enable you to drive traffic and are charged using CPE, based on tapping, clicking or scrolling on the ads. It’s an undeniable fact that Shopping ads are great. However, they continue to improve and retailers who want to get the most of them should take straightforward measures. We have separated a few action steps for strengthening your Shopping ads. Now let’s discuss each point separately. It goes without saying that product images are an essential part of any Shopping ad. To provide a better comparison, Google combines merchants’ product images and prices, so Google Shopping is a visual experience. In case you want to run Google Shopping Ads, you should follow the image guidelines offered by Google. Below are the do’s and don’ts by Google regarding image quality. Merchant Center is a tool that enables you to upload your product, brand or store and make it available to Google services, such as Shopping Ads. In order to advertise your products on Google, you should create a Merchant Center account. 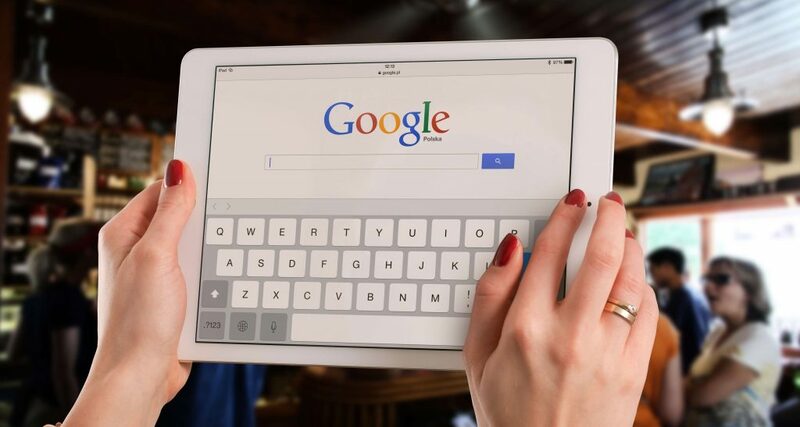 Moreover, except for being visible to millions of Google users, you can drive online customers to your brick and mortar shop using Google Shopping features like “in-stock” checking. With the use of Google AdWords, you can differentiate between a high-priority campaign and a medium-priority campaign. The same goes for medium and low priority campaigns. Thus, you’ll be able to create three shopping campaigns with various priorities. With the help of this campaign, ads for all usual Google Shopping matches will be activated. They only keywords that will be excluded by the campaign will be the ones you have loaded as negative ones. As far as high-priority campaign blocks this one from serving, it will use only the keywords mentioned as negative ones in the high-priority campaign. The same is here. Since the high-priority and medium-priority campaigns block this one, it will use the keywords that are mentioned as negative ones by both of them. The most outstanding point related to this system is that you can generate any kind of campaign hierarchy. Overall, the product data feed forms the way ads perform on Google Shopping. Therefore, you should provide high-quality product data to run successful campaigns. Below, you can find some tips for setting up strong data bringing good results. Use the information you have about your product and target audience to move forward. Create a better shopping experience by improving the checkout process, product data, and landing page. Provide rich content to enable your customers to make informed decisions. Include such important patterns in your title as age, gender, size, color or other personalized content. Place the most important content at the beginning of the title. Provide the most up-to-date information to your customers regarding prices, taxing, and others. Arrange your product type started from the broadest to the narrowest. Use the same product title and description on your landing page. Customers don’t like landing pages with synonyms or other attributes. There are a few steps you should follow to create Shopping ads and set up a Shopping campaign. The first one is creating accounts on Google Merchant Center and Google Ads, then linking them with each other. As soon as your products are approved in Google Merchant Center, you can finally set up a Google Shopping campaign. If you don’t have a Google Ads account yet, go sign up for one. Go through the configuration wizard to enter your business and payment details. This is the final step, where you will be directed to Create ad groups page. In the “Ad group creation section, you should make decisions regarding the organizing process of your campaign. This part is individual and you should organize it according to your campaign goals. The setup and management are quite different from setting up traditional text ads. While creating text ads you create campaigns, ads groups, and focus around the keywords. With Google Shopping Ads, Google determines when your product listing ads show up. They consider feed from your website and your bids for search queries. That’s why shopping Ads have some similarities to Search Engine Optimization. You should be sure that your product meets the requirements comply with the Google Shopping Policies. You can promote your products with Shopping campaigns effectively if you provide detailed information about your product. With the use of retail-centric tools, you can track your product performance during a time. You have to send up-to-date data related to your product details at least every 30 days, and it should be relevant to Google’s requirements. You should use Google Merchant Center for submitting product data regularly. One of the most awkward experiences in shopping is running site-wide sales and not reflecting it in the product price. Fortunately, among Google requirements, you can see that the price on the product detail landing page should be the same as the advertised amount is. Thus, in case you have a 20% discount in your cart, it will lose the pop it has on Shopping since the separate item price doesn’t reflect that. As far as Google Shopping is a great channel for e-commerce, you have to agree with marking down each product on your store by 20%. It’s something you should experiment with Google Shopping. It’s more applicable to retailers with a smaller group of products. Summarizing we can say that shopping ads drive great results for both advertisers and users. We hope, the tips we discussed in this article will be useful for your business to make one step forward in this instantly changing industry. One thing is clear, you can drive more traffic and gain more effective leads using these Shopping campaigns.